Mix and Chic: Ten tips to create a smart home and Nest Learning Thermostats giveaway (worth $249 each)! 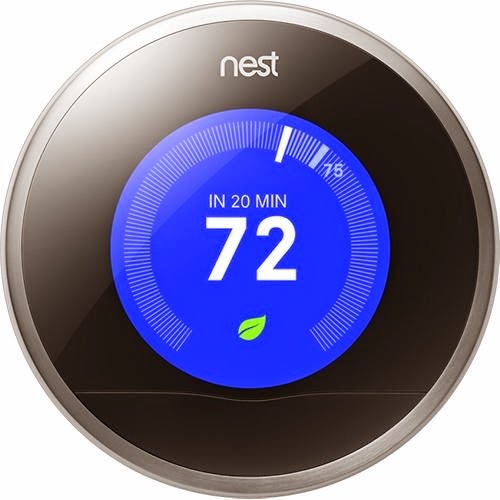 Ten tips to create a smart home and Nest Learning Thermostats giveaway (worth $249 each)! We have all heard about smart homes but what makes a home smart? To me, a smart home has to be energy efficient, more convenient and helps save money to be qualified as a smart home. Here are some of my favorite money saving, energy efficient and smart home tips! 2. Your living room typically has multiple active light sources available. Make sure your lighting is energy efficient by switching traditional bulbs to CFLs or LEDs. Our energy saving LED light bulb! 3. Replace your old, inefficient appliances with new, efficient, Energy Star® appliances. Old appliances tend to run inefficiently. 4. Replace the showerhead in your bathroom(s) with low flow showerheads. These showerheads regulate the flow of water, assuring you a more efficient shower. 5. Make sure you have a strong Wi-fi signal from your smart thermostat and smart devices. Because you can remotely control your smart thermostat via the internet, periodically check the signal strength in the network settings on the thermostat’s control screen. 6. Installing light dimmers can save cut your electricity use 40% over time and make your lightbulbs last 20 times longer. 7. Use an automated pet food and water dispensing system so you do not have to worry about feeding your pets if you happen to be away from home for longer than you had intended. 8. Planting trees in optimal spots on your property will provide shade during the warmer months making your system work less hard to cool your home down. 9. Even when your appliances are turned off, they are still using electricity. Use smart power strips to combat energy vampires. Our power strip with individual switches. It is a great way to combat vampire power on my own terms. 10. Use a smart sprinkler to control your sprinkler system from your smartphone. They adjust setting based on weather and time of day so you do not have to. 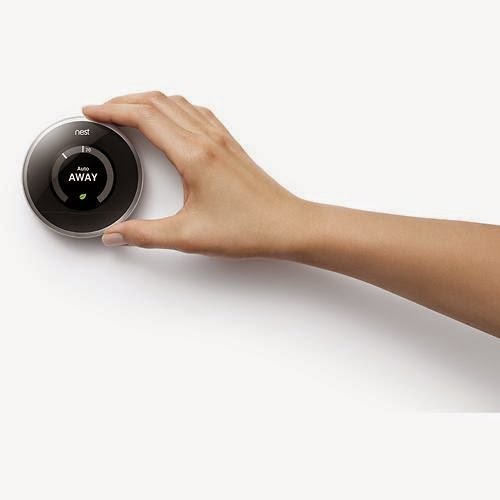 To make your home smarter and more energy efficient, Direct Energy is hosting a sweepstakes where 5 lucky winners will have the chance to win Nest Learning Thermostats! To enter the sweepstakes, visit the campaign landing page and simply fill out the entry form. How easy is that? On mobile? Just click here to enter! The giveaway will take place from Wednesday, October 1st to Wednesday, October 22nd. Winners will be selected in mid-November. About Direct Energy: Direct Energy is committed to helping their customers build a smarter home, and thus cut down on their energy usage – saving the customer time and making their lives easier. Currently they are offering the opportunity for anyone to learn more about creating a smarter home by visiting their Facebook page, or exploring their Comfort & Control Plans. Direct Energy Comfort & Control Plans -24 or 36 month plans offer fixed rate price stability, and a Nest Learning Thermostat (a $249 value) at no cost to you. How do you save energy at home? Do you have any tips and ideas to share? I would love to know! Thank you Direct Energy for sponsoring today's post. I'm proud to say I did most of the ones listed here and love our NEST to bits!